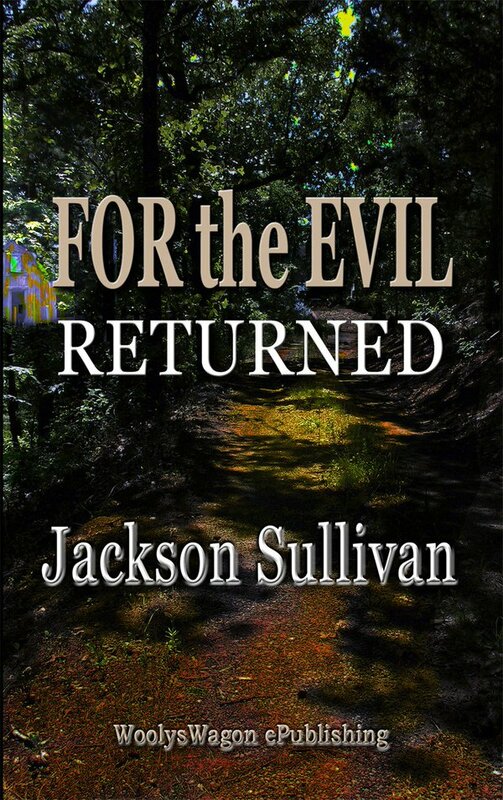 For the Evil Returned by Jackson Sullivan is a bit horror, a bit psychological drama which blends the two genres quite well. The story itself is an interesting take on the whole Cain and Abel thing. You have two brothers one good and the other evil and it makes you wonder how siblings raised in the same environment could turn out so differently. Jeff Taylor has a pretty good life, he loves his wife, has his own business, and things are starting to go his way. His brother Damon, on the other hand, has been in and out of trouble for years, the latest episode landing him in jail for a two-year stint. Damon’s time is about up and little does Jeff know, his life is about to take a brutal turn. Is Jeff seeing things? While seeking help an old woman appears before him, warning him to turn back. The urgency of her pleas causes Jeff to run like never before to get back to Angela, but it’s too late, she’s gone! And here begins the cat and mouse game. Jeff is being accused of killing his wife, while the true killer has been taunting him with phone calls from his missing wife’s phone. Then there are the messages from the beyond, telling him he has been chosen to end the evil that has crept back into town. This is one of those books that you can easily see being made into a killer movie. It has all the right elements to keep you guessing and at the edge of your seat. There were a few parts that for me got a little bogged down with a tad too much information but for the most part an excellent read. If you want to pick up a copy, you can get it HERE!